Confederate States of America Naval Jack. 3'X 5" cotton, cut, & swen. 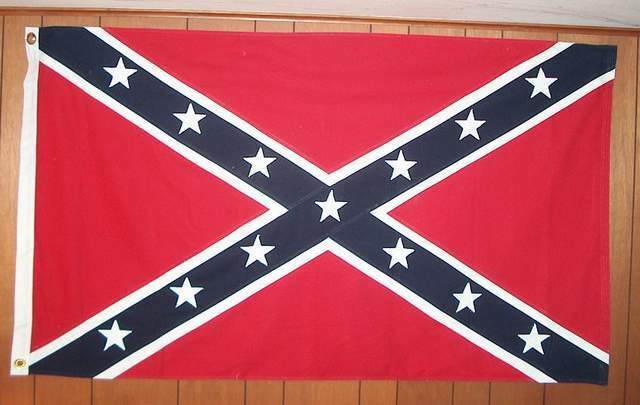 Flown on all Confederate Ship. Same pattern is Battle Flag (32" x 32")m Calvery Flag (38" x 38"), and Artillery Flag (52" x 52").Also known as the Southern Cross & the Virginia Battle Flag. See these others on this website. Satisfaction guaranteed. Fully refundable for 14 Days upon reciept.